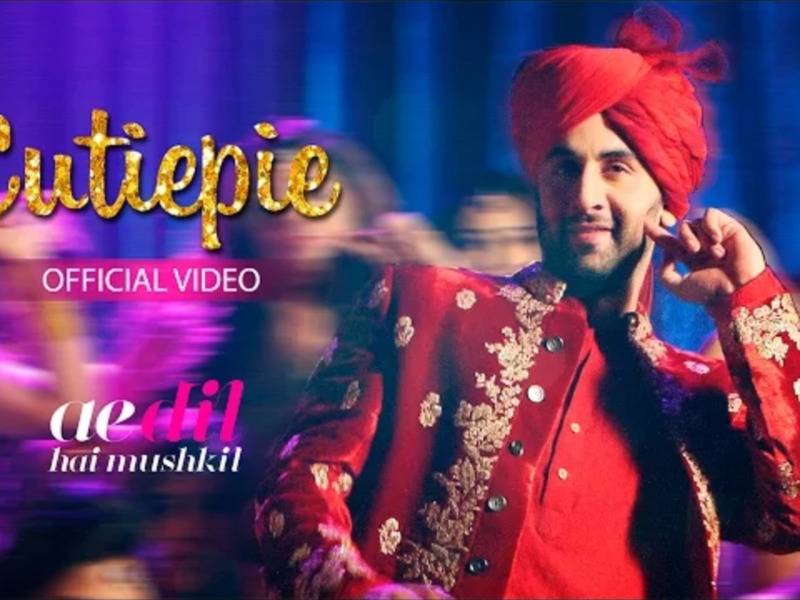 Badtameez Dil To Balam Pichkari: The New ADHM Song Cutie Pie Is Bits And Pieces Of Everything That’s Ranbir! As the song begins it reads THE FILMY SONG OF THE YEAR and Oh My God! It stands true to the statement! The background score in the beginning is the typical Punjabi Ladies Sangeet lyrics accompanied by Dholak beats giving you the ultimate big fat Indian Shaadi feels! And why not? When it is Karan Johar and Dharma Productions, a song like this is a compulsory tick off the list. SOCIAL MEDIAAA PE HUKUM CHALAYE!" This song will soon become the anthem to all those heartbroken guys who are dealing with their boyfriend blues! Ranbir as usual is at his eccentric best looking absolutely dapper even in a flashy RED Dhoti Sherwani, and you get to see all his shades right from the crazy Bunny from YJHD to the very (CUTIE PIE himself) Prem of Ajab Prem ki Ghajab Kahani. They tried to give a flavor similar to Badtameez Dil, and whether they succeed is up to the audience now. Though from a staunch critic point of view the entire song (audio video) sounds like an amalgamation of all of Ranbir’s previous songs. So for the review that is that, but all will agree that number is really peppy and soon be the favourite at all Baraat and Shaadi Parties! So here you, listen to it!